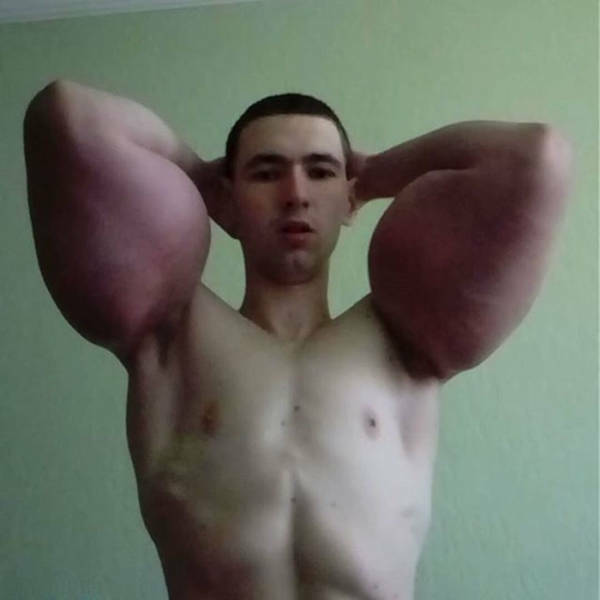 Kirill Tereshin is a 21-year-old bodybuilding enthusiast from Russia. 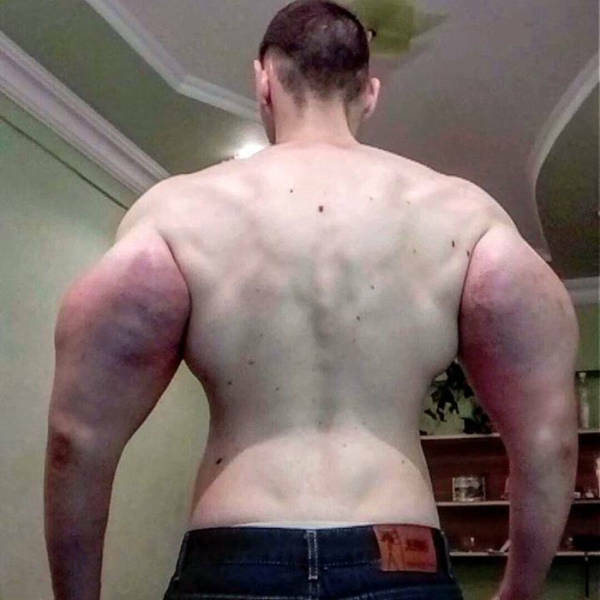 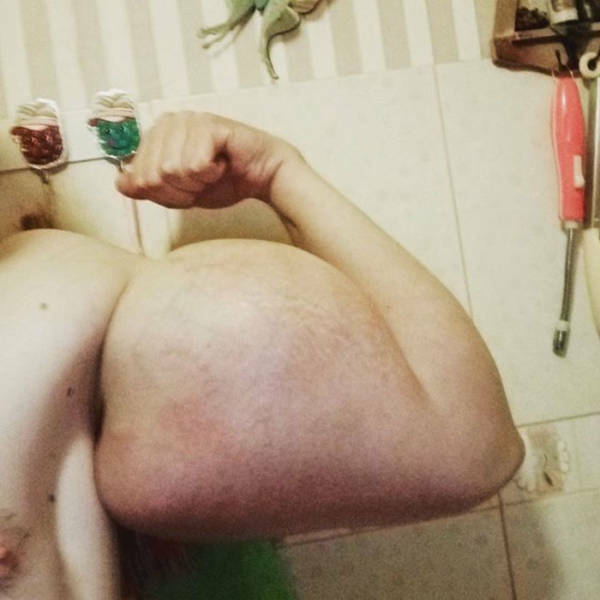 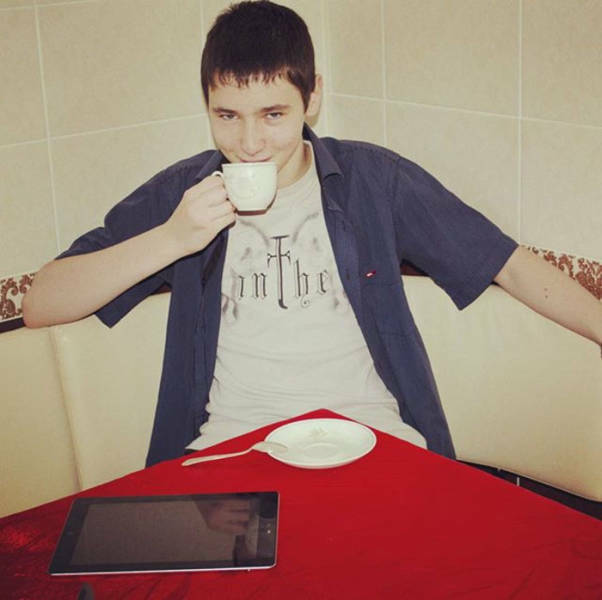 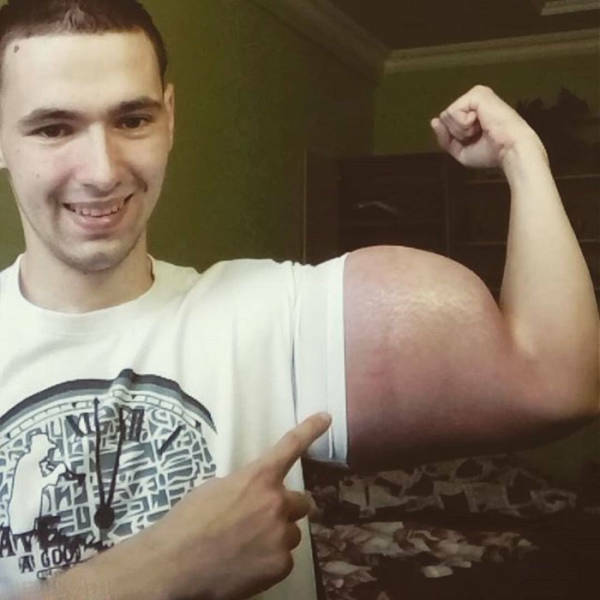 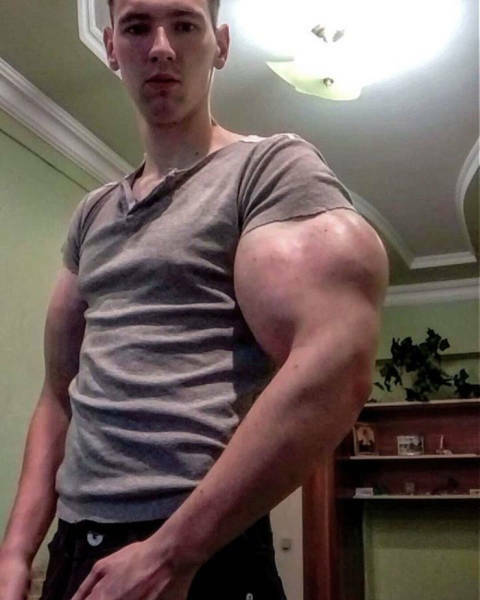 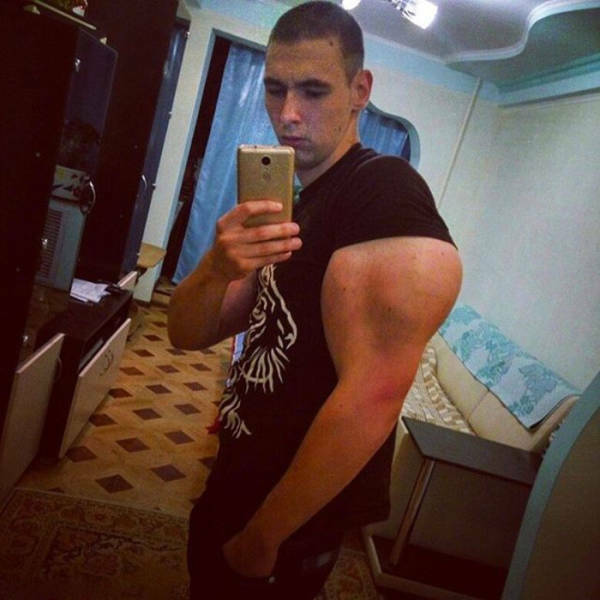 He decided that old ways of bodybuilding were too slow for him, so he went for synthol injections instead, increasing his biceps 30 cm in 10 days. 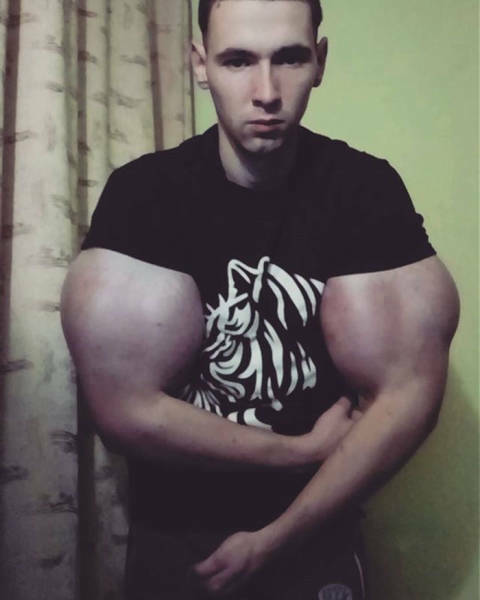 Even 40 degree fever didn’t stop him from doing this extremely dangerous procedure.